Other chipset manufacturers like Qualcomm has already released LTE chipset so to gain bigger market share. So it is not surprising that they have supplied Chinese companies like Oppo. So the Mediatek need to act fast because they will lose market share. And because of that they will in the end of this year present and release the 3 new CPUs. So the we will see new chipsets from the Taiwanese chip maker. Okay this new CPU will replace very popular old quad core MT6589 processor. This new CPU is a quad-core Cortex A53 chipset. The biggest news about this CPU is LTE feature. 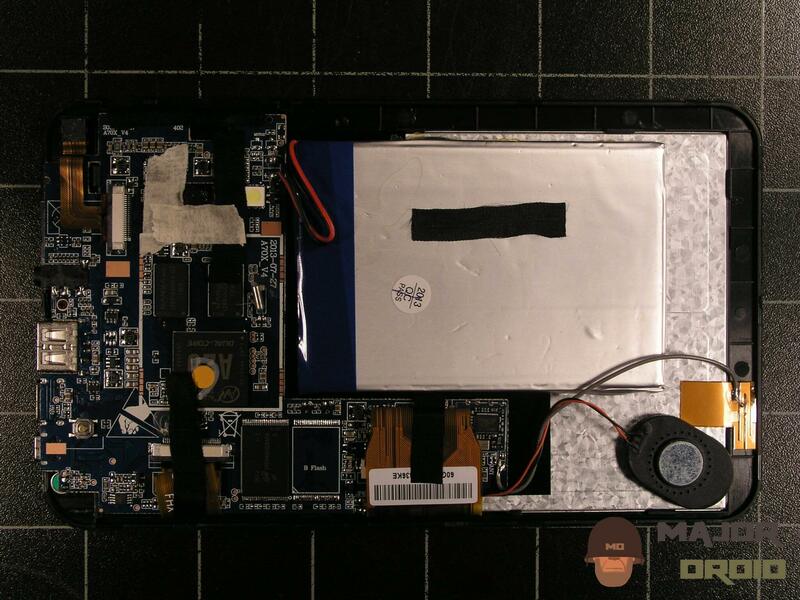 So devices with this CPU will support LTE. 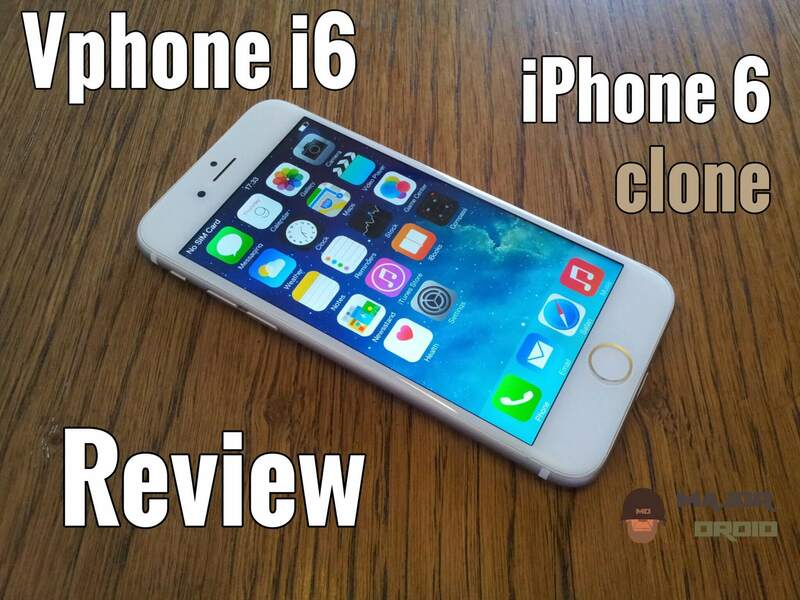 But it will only support 720 HD display and cameras with 13 megapixel sensors. The MT6732 is the chip for cheaper LTE smartphones with maximum price of $130. 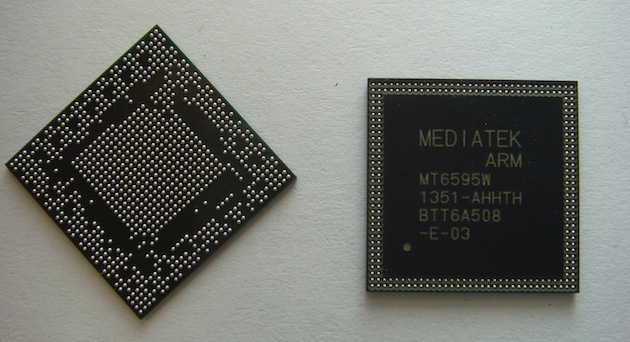 Mediatek MT6752 will replace MT6582 chipset. The new MT6752 have LTE function, it will be also octacore A52 processor. And other new features are support for 1080FHD displays, 16 megapixel sensor cameras. So this are good news. We can soon expect new mid-range Chinese smartphones. Mediatek MT6595 is completely new CPU which will have same strength as popular Snapdragon 801 or better. 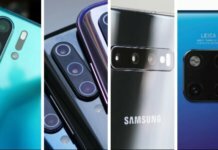 It will have speed up to 2.2 GHz, it will also support 20 megapixel sensors camera’s. There is also 4K video capture. And LTE is also supported here. 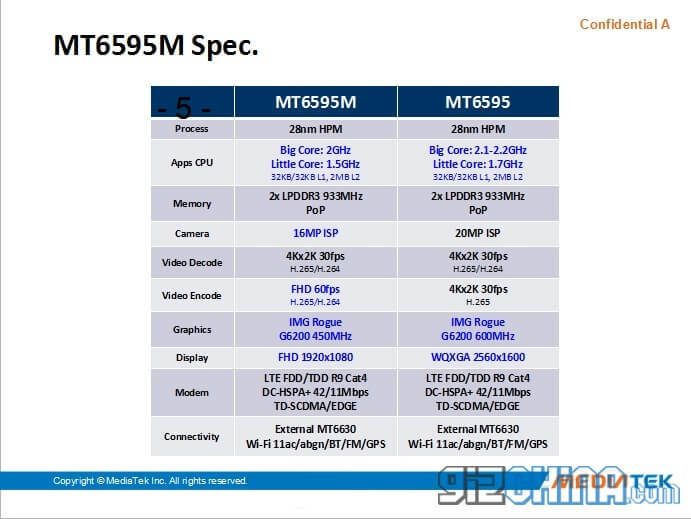 The MT6595 will come in two versions, the weaker version will have CPU with speed at 2Ghz, 16 megapixel camera and other specs are in the same. 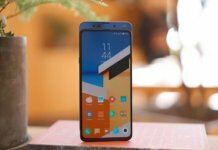 When can we see phones with new Mediatek processors? 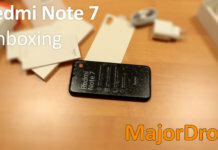 Phones with MT6595 chipsets I think it will started to sell somewhere in the 3rd quarter of 2014 year, and devices with other CPUs will start to sell early next year.